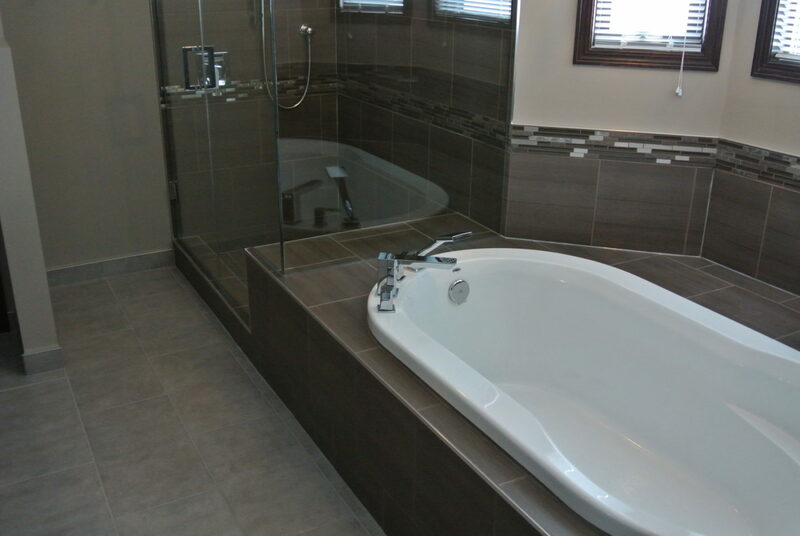 Removing a small closet in this master ensuite allowed for a more spacious spa-like environment. 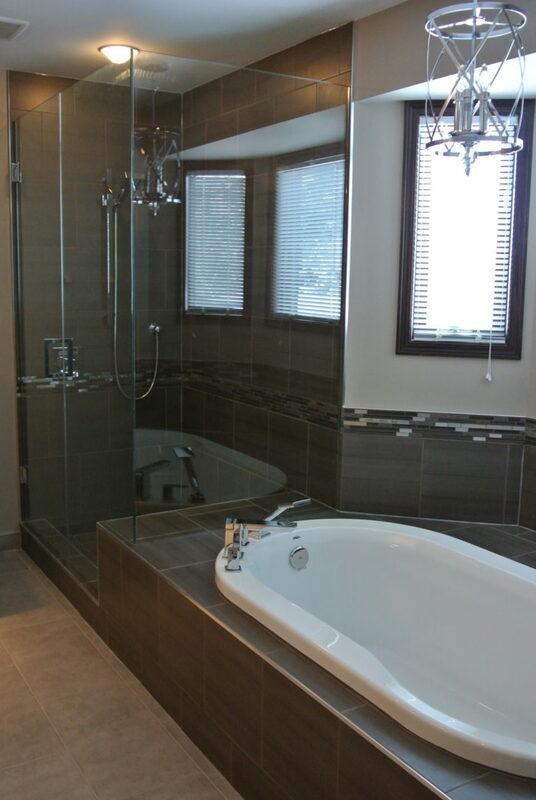 The large 5′ x 42″ shower boasts a 10mm frameless enclosure which helps create a bright openness to the room. A portion of the tub deck also allows for a good size bench within the shower area. The trim tile that caps the tub back splash runs through the shower area and is used as a back splash on the vanity top. 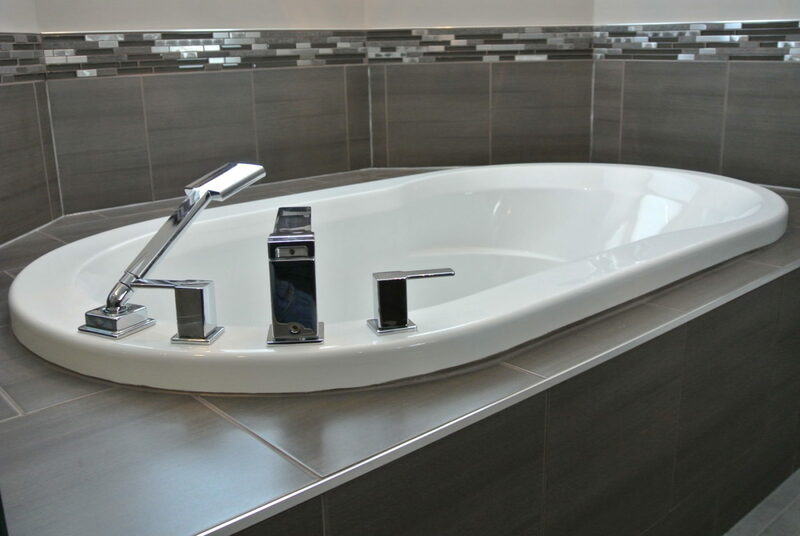 This helps to unify all the components of this elegant bathroom. 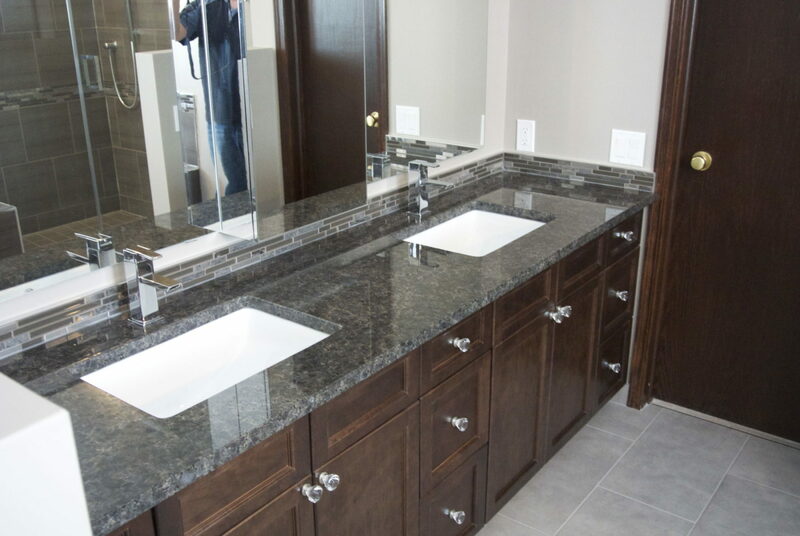 A large 8′ vanity cabinet with ample storage and a Quartz countertop with 2 modern under mount basins ensures there’s always enough room two.